NCLEX Test day is almost here. If it hasn’t started already, I’m sure a few nervous thoughts have started to make their way into your brain as your NCLEX test day gets closer. But don’t worry because here at the Magoosh NCLEX-RN Blog, we’ve got you covered! Here are some of the best prep tips leading up to your NCLEX test day! If you haven’t been studying at all, it is definitely time to start! If you only have one week to prepare it is going to be a challenge to get yourself feeling test ready but don’t despair. You can work on test preparation all the way until NCLEX test day. If you have been studying a month or all along, don’t put the books completely away. Keep your test taking skills fresh by completing at least a few practice questions each day leading up to test day. If you have struggled with certain content areas, you might consider reviews specific to those parts where you feel the least sure of yourself. 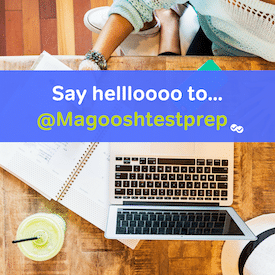 If you think you still need some test prep help, seek out the resources you need to work right up until NCLEX test day. It is never to late to check out some of the best NCLEX books! With NCLEX test day approaching, you might be tempted by your favorite comfort foods. Pizza, anyone?? However, this week, try to keep yourself feeling your best by sticking to a balanced diet and getting plenty of rest. You need to be at the top of your mental and physical game heading in to NCLEX test day. Sleep, eat right, and get a bit of exercise. If you are still hitting the books and studying pretty hard, remember to take frequent breaks to get some fresh air. And one more thing- Wash your hands! The last thing you need heading into your NCLEX test day is to get sick. This week is a great week to do a dry run of your NCLEX test day. Hop in the car and take a ride to the testing center. How long does it take you to get there? Where should you park? If you are taking public transportation, find the closest stops to the testing center, check the schedules, and head out to see how long it will really take you. You certainly don’t want to expend valuable energy on test day being stressed about getting there on time or worse than that, missing your testing time! If you haven’t already, take a practice test a few days before your test and use your results to help focus those last few study sessions. This is also a good week to fit in some much needed down time. Watch your favorite movie. Read a book not related to the NCLEX. Go out with your friends or stay in for a night of Netflix binge watching. Give your brain some time to rest before the big day. Stay busy to keep your thoughts off of NCLEX test day but not so busy that you tire yourself out. You can do this! Is this NCLEX hard? Sure it is. But, half of the battle is believing in yourself. Get hold of your self-talk. Don’t let you nerves get the better of you. This week before NCLEX test day, take some time to appreciate just how far you have come in getting here. Trust that you have done the work. Even if you haven’t followed through on all your test preparation plans, believe in your abilities. The NCLEX doesn’t judge your character, so don’t give that kind of power over your thoughts. Take a deep breath, relax, and do your best. If you are taking NCLEX this week, it is easy to be overwhelmed. Do some studying and prepare for test day but be extra good to yourself too! Studying for the NCLEX is hard work but it is all worth it when you achieve that passing score. Good luck!